While Force Motors’s flagship vehicle, the Force One may not have taken off as expected, it has not dampened the spirits of the company one bit. In fact, they are now stepping on the pedal and have confirmed their plans to develop and launch a premium SUV to compete with the existing biggies in the market. This means that their next product will jostle for space with the Fortuner, Pajero Sport, Endeavor, Captiva, CR-V, X-Trail and the like. He further said that the premium SUV, which hasn’t been given a name yet, is in the concept stage and could be a reality within the next couple of years. Force Motors has a 1,000 crore INR investment road map and this vehicle is one of the products that it is expected to create. On a larger note, Force Motors currently has a turnover of INR 2,700 crore and is expected to touch 10,000 crore over the next five years. 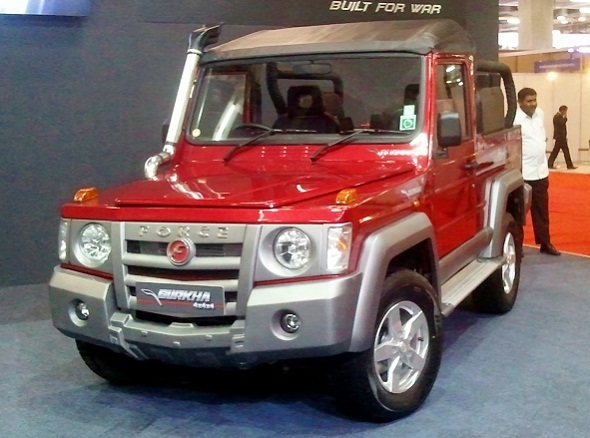 While Force Motors certainly has the technical ability to manufacture mechanically sound vehicles (The Gurkha is one formidable off roader), it is their habit of procuring body kits with sub standard interiors and outdated designs that keeps people away. The Force One for example is assembled on the body kit of the Chinese Foday Explorer which is a close derivative of the 3rd generation Ford Explorer. We, in our road test, had clearly pointed out the rough areas that needed to be sorted out in the interiors of the vehicle. « Renault Duster records its lowest sales in July: Nissan to launch the Terrano on the 20th Aug.